The next upcoming National Aviation Day is on Monday August 19th, 2019. National Aviation Day is held each year on August 19th. The day is to celebrate the development and history of aviation. This day was created on the anniversary of Orville Wrights birthday because of his significant contributions to aviation. People go to air shows, museums and other aviation events to take in the history and past of the aviation industry. In some schools and classrooms kids are taught about Orville and Wilbur Wright and their first successful controlled flight on December 17, 1903 of an airplane for 12 seconds in the air. They called it their flying machine which later became the first controlled fixed wing aircraft. National Aviation Day is not a federal national holiday but rather an observance to celebrate the history of aviation. In 1939 then President Franklin Delano Roosevelt issued a proclamation that the anniversary of Orville Wrights birthday be National Aviation Day. 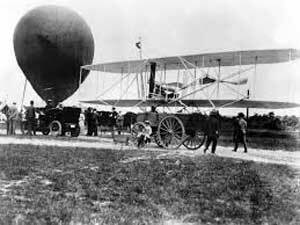 Orville Wright was born in 1871 and was alive when President Roosevelt signed the day into law.